We all would have bought candies, we all would have borrowed too, but how about getting it from the forest without spending a single penny. There is a little bit of scavenger in all of us and there is nothing wrong being like that. 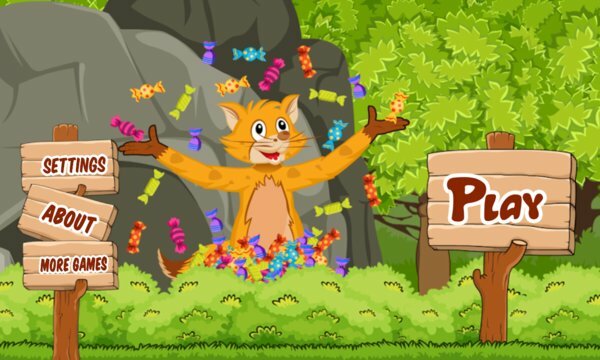 Candy Scavenger is a very simple, fun filled and enjoyable game in which there is a girl going down the forest lane with a basket full of candies, but he doesn’t know that there is a huge hole in that candy containing basket through which candies are falling slowly one by one. ‘Getting greedy my dear friend’ you should be, now you have an opportunity to get all those mouth watering candies. But but there is a cache into it that you have to be very careful while getting those candies as the girl looks back time to time and the moment he turns back you have to stop picking them. You have to pretend as if you don’t know about the mystery. The moment you are caught, game ends. It is an endless game, collect as many candies as you can but behave like a scavenger only. Play this game only for fun as it’s a perfect time pass!!!!!!!! !